What's In a Name? What's Right for a Beginner? 28 Nov Tai Chi or Qigong? While both Tai Chi and Qigong have been gaining popularity, there is considerable confusion and misunderstanding in the use of the two names. The recent BBC program, “Trust Me I’m a Doctor”, included a feature about the fitness aspects of Tai Chi compared with Zumba. Throughout the program they referred to “Tai Chi” but the pictures clearly showed people working through the first set of Shibashi Qigong exercises. Qigong and Tai Chi are close relatives, sharing common roots in ancient China and having similar links to the wellness and health aspects of traditional Chinese medicine (TCM). They are nearly identical in practical application in terms of health benefits and share the “three regulations”: controlling the body (posture and movement), controlling the breath, and focusing the mind. Qigong is much older than Tai Chi, dating back well over 2,000 years. It is a much wider discipline that embraces a diverse range of practices designed to improve mental and physical function and enhance the life force that the Chinese call Qi. There are thousands of forms of Qigong that have developed in different regions of China over the centuries but it was only in the 20th century that these separate practices were brought together. The name, “Qigong”, which broadly translates as ‘Energy Work’, is much more recent. It was first used in the early 20th century but started to achieve wider usage when adopted and promoted by the Chinese government in the 1980’s. Qigong is typically simpler, easier to learn for the Beginner. By contrast with Qigong, Tai Chi is just a few hundred years old. The name translates as, “Supreme Ultimate”, the Chinese philosophical view of the universe in its balance between Yin and Yang elements. Tai Chi, the exercise, is named after this concept and was originally developed both as a martial art (Tai Chi Chuan or Taijiquan) and as a form of meditative movement. Traditional Tai Chi is typically performed as a highly choreographed, lengthy, and complex series of movements known as a “form”. The complexity of Tai Chi is the key factor that differentiates it from Qigong. Qigong is much easier to learn and is less physically demanding than Tai Chi so the benefits are more readily achieved. Tai Chi requires a greater investment in time but offers more rewards in terms of improved balance, strength and coordination. Consequently, it makes good sense to start with Qigong and then progress to the greater complexity of Tai Chi. If you would like to find out more about Qigong and Tai Chi then the following technical paper has an excellent review section. 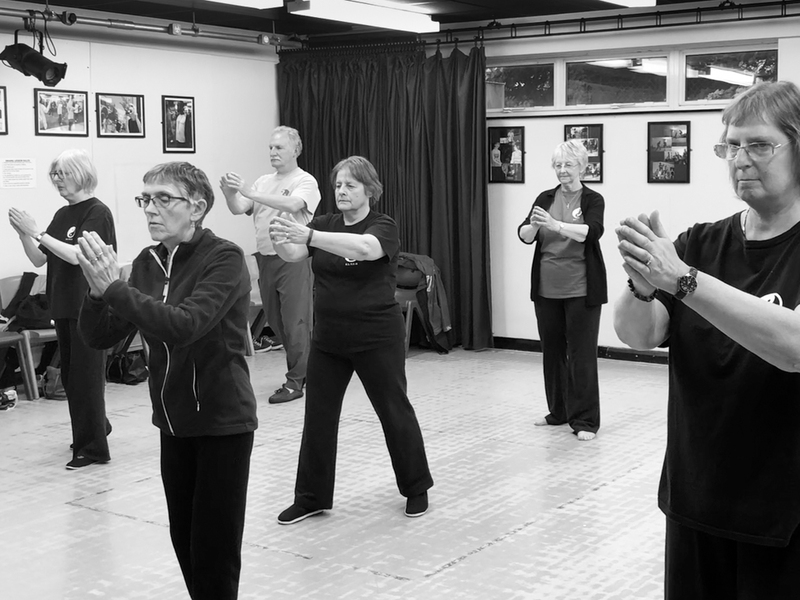 If you would like to learn Tai Chi and Qigong exercises then join any of our courses.